What can I say about these little mouse ears. 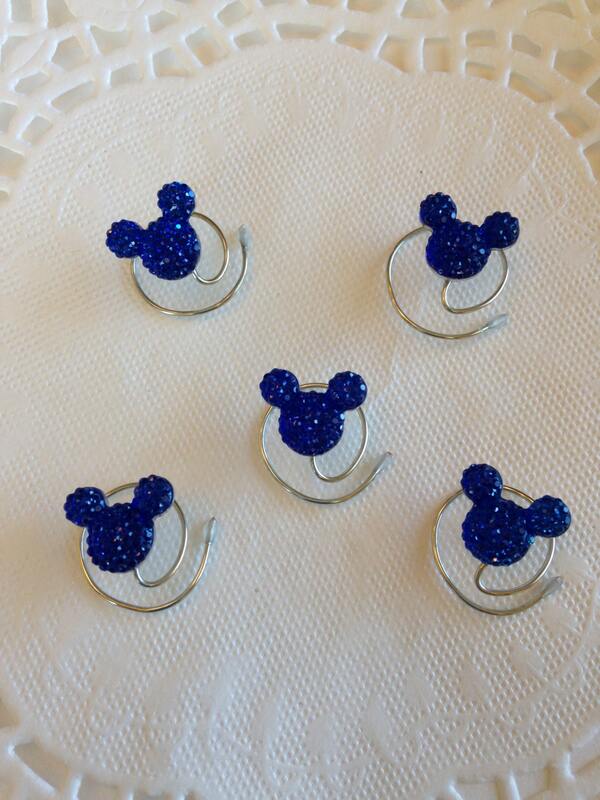 These are my best rhinestones since March of 2012. 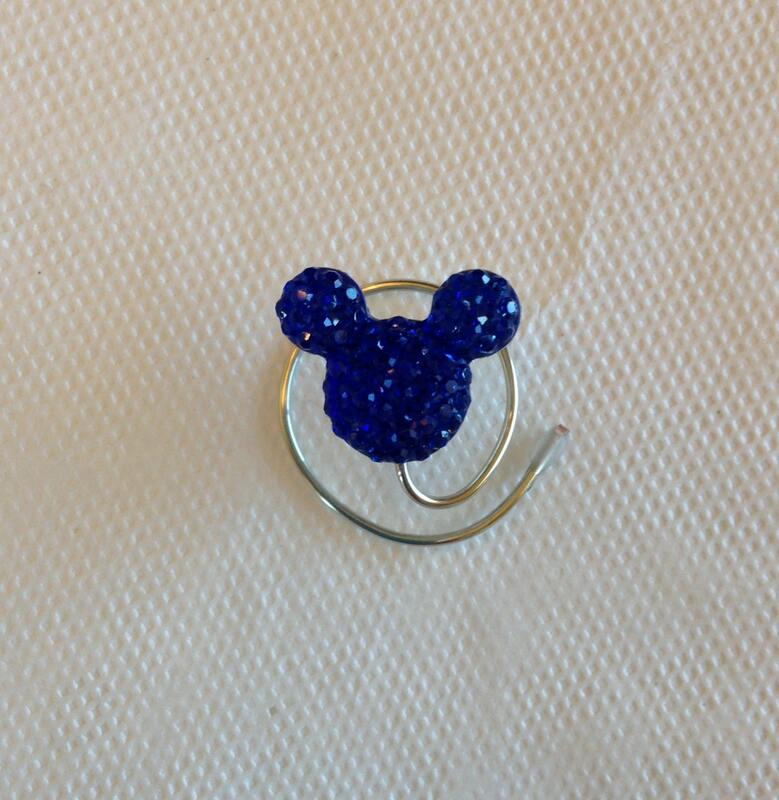 Even though they are acrylic, I am calling them rhinestones as they have more sparkle than any other rhinestone I use for my hair swirls. You won't be disappointed in these. 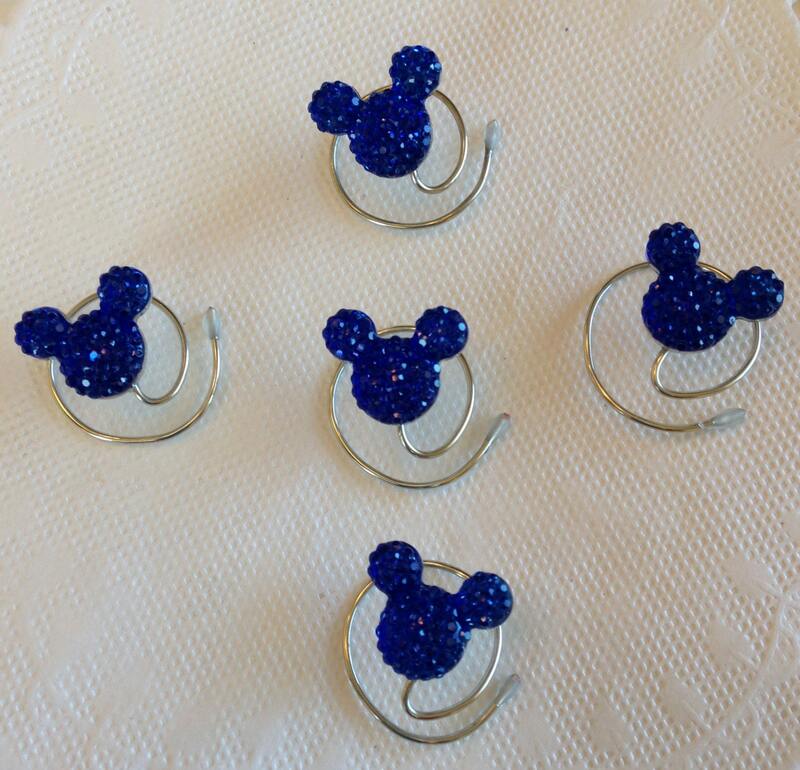 You are bidding on 5 pieces of hair jewelry consisting of darling tiny Dazzling Royal Blue Mouse Ear Hair Swirls. Each mouse is about 1/2 inch in size. Each tiny mouse has many tiny facets that sparkle when light hits them. They are mounted on a tarnish resistant silver tone wire. They come in lots of colors. Watch for new listings soon. 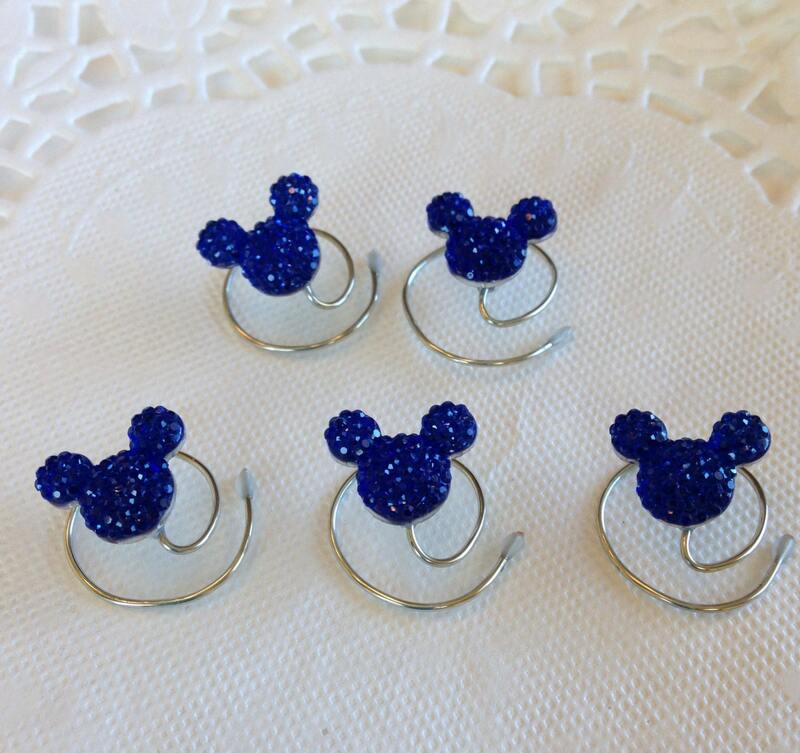 These lavender mouse ears would be perfect for a Bride or Bridesmaids in a Disney Themed wedding. The Bride in the picture is wearing one tiny mouse ear right above her tiara on the left hand side. Just an idea as to how to wear one. The rest could be worn by the bridesmaids. They will stay in while you are dancing the night away at your reception. The item shipped on time and was exactly what I wanted. The color was perfect! These are perfect and arrived much faster than I anticipated. I can't wait to wear them at my wedding!